Designed specifically for Polynesia, the MS Paul Gauguin is a deluxe vessel offering small-ship luxury to just 320 guests. Flawless, friendly service from a European- trained staff emulates the delightfully unhurried and unregimented Polynesian way of life.Spacious, ocean-view staterooms, half with balconies or verandahs, open to sweet-scented tropical breezes and lush island vistas. Each features queen or twin beds, marble-appointed bath, closed-circuit television and VCR. Fine Continental and French cuisine is served on an open-seating basis in three restaurants. All premium alcoholic beverages and soft drinks are included. 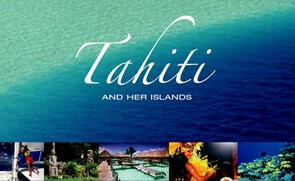 A truly all-inclusive Tahiti vacation!Complimentary 24 hr room service. The 7-night cruise departs Tahiti Saturday evening and includes visits to Raiatea, Taha’a, Bora Bora and Moorea before returning to Tahiti for disembarkation the following Saturday. Save 50% plus included airfare from LAX for 2014 and 2015 sailings of MS Paul Gauguin! Call for available dates and itineraries. Cruise rates shown are based on Category F, sharing a double or twin cabin. Other room categories and single rates available on request. Not included: Port tax and handling charges, add from $210 per person. Special deposit and cancellation policies apply. Ask for details. A deposit equivalent to 10% of the package price must be received within 7 days of confirmation. Balance is due 90 days prior to cruise departure. Written notification of cancellation must be received at least 121 days prior to sailing for full refund. Substantial penalties are assessed for cancellations within 120 days of sailing. Please ask for details. 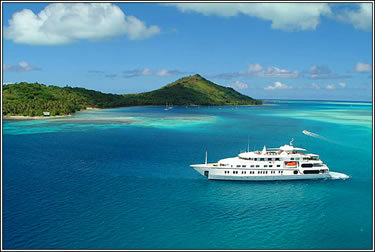 Bora Bora Cruises’ luxury five-star cruise yachts set a new standard for cruising in French Polynesia. The 30-cabin, 226-foot yachts, “Tu Moana” and “Ti’a Moana,” feature original Polynesian art throughout, staterooms with the finest furnishings, and French cuisine infused with the freshest of Polynesian flavors. 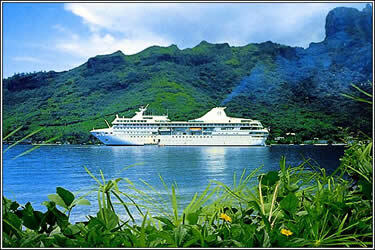 The staterooms have plasma screen television, CD and DVD players and mini-bar. For your relaxation and pleasure, the cruise yacht’s Jacuzzis and gym offer hours of enjoyment. The yacht’s shallow draft design allows for anchorage in the stunning turquoise lagoons and easy access to pristine white sand beaches.Embark on your seven-day cruise in Bora Bora on Monday morning and cruise to Taha’a, Raiatea and Huahine before returning to Bora Bora to disembark on Sunday afternoon. *Reserve and pay in full for cruise at least 120 days prior to departure. All cruise rates based on sharing a double or twin cabin. Single supplement rates available on request. Not included: Port tax, add $200 per person; arrival and departure transfers, optional excursions and drinks. Special deposit and cancellation policies apply. Ask for details. A cabin will be confirmed upon receipt of a 25% deposit. Balance is due 45 days prior to cruise departure. Cancellation penalties, per person: more than 60 days out – 10%, 30-59 days prior to sailing-25%; 15-29 days prior to sailing-50%; 14 or less days prior to sailing-100%. Relive the adventures so many have lived before you… the crack of the sail, the feel of wind on your face, the smell of salt spray in the air… as you make a voyage of discovery in the pristine waters of Polynesia. Discover the charm of Bora Bora or the atolls of the Tuamotu Archipelago.Propelled by gentle trade winds, sail in comfort aboard an exceptionally stable 57 ft. catamaran with almost 1,600 sq. ft. of usable space. Each vessel is engineered for speed, exceptional stability and unparalleled comfort, with four air-conditioned cabins, private bathrooms, a vast salon with panoramic views, and a spacious deck. All are equipped with dinghies, windsurfers, snorkeling and fishing gear, ocean kayaks, a library, and games. An experienced crew takes you (never more than eight passengers per yacht!) on a carefree sail that will send you home with memories to last a lifetime. Discover the enchantment and romance of Polynesia as you sail around Bora Bora, Taha’a, Raiatea and Huahine on a 7-day cruise. Swim with manta rays, turtles and reef fish, sightsee and shop in local villages, safari into the islands’ interiors, visit a vanilla plantation, and anchor at sunset on a remote motu. The ideal way to visit these legendary islands, this is one of Archipels’ most popular cruises! Set sail on the waters of the huge atoll of Rangiroa on a 3- or 4-day cruise. Live like Robinson Crusoe… lunch on a motu, swim, snorkel, beachcomb, explore the lagoon, and meet the local fishermen. HOT DEAL – SPECIAL ONLY: One Passenger Sails For Free! 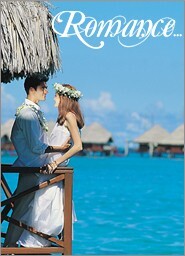 6 Nights/7 Days from $2610 per couple! Leeward Islands Cruise only – includes all meals and most activities. Dec 1 & 8: $2610 per couple Prices are per couple, cruise only. 25% deposit is due immediately upon confirmation. Final payment is due 30 days prior to sailing date. Cancellation penalties, per person: 90-31 days prior to departure-25% deposit; less than 30 days-100% of cruise cost. 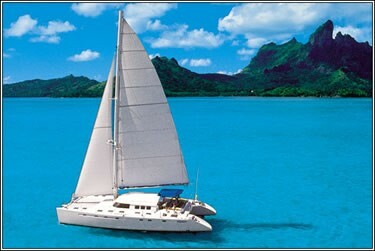 Catamaran sailing cruise prices include all meals and airport/dock transfers on the island of arrival and departure. Cruise rates are based on sharing a double cabin. Single rates available on request. High season supplements apply: April 1–October 20 and December 23–January 5. Special deposit and cancellation policies apply. Ask for details.Prices are per person. Rates, itinerary, conditions and availability subject to change.